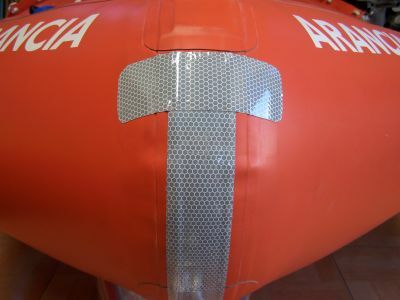 Retro reflective tape is a compulsory item fitted to your IRB. Retro reflective tape illuminates in light, and is available in kit form, or by the metre. It’s a must if carrying out rescue operations in the dark or limited light.